Memorial Day, history of a celebration. At the end of the Civil War, it was customary for the graves of the fallen American soldiers to be covered with flowers on a particular annual date. On May 5th, 1868, this day became a holiday of the calendar. On May 30th, 1868, it was named “Decoration Day” and celebrated at the Arlington National Cemetery. In 1882, it was renamed “Memorial Day” to celebrate all the dead in combat of all the wars involving American soldiers and not only those killed during the American Civil War. In 1967, Memorial Day extended to the federal level and a year later, the Congress adopted the Uniform Monday Holiday Act, moving that day to the last Monday in May, to propose a three-day weekend. This Act comes into force on January 1st, 1971. 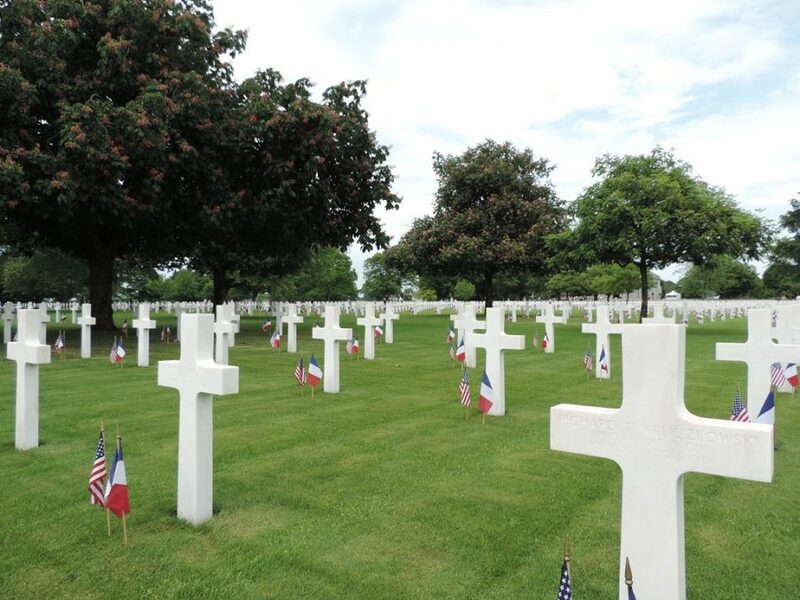 At 4 pm on May 28th, 2917, several hundred people gathered at the Brittany American Cemetery in St-James (St. James -50) to commemorate Memorial Day and to gather on the graves of these young liberators buried in these places. This annual ceremony in the presence of Franco-American civilian and military authorities was also marked by the arrival of veterans John Roman and Charles Chay, the opportunity to greet them and thank them for their service. 73 years later, the people of France have not forgotten the sacrifice of these young men who came from the other side of the Atlantic.